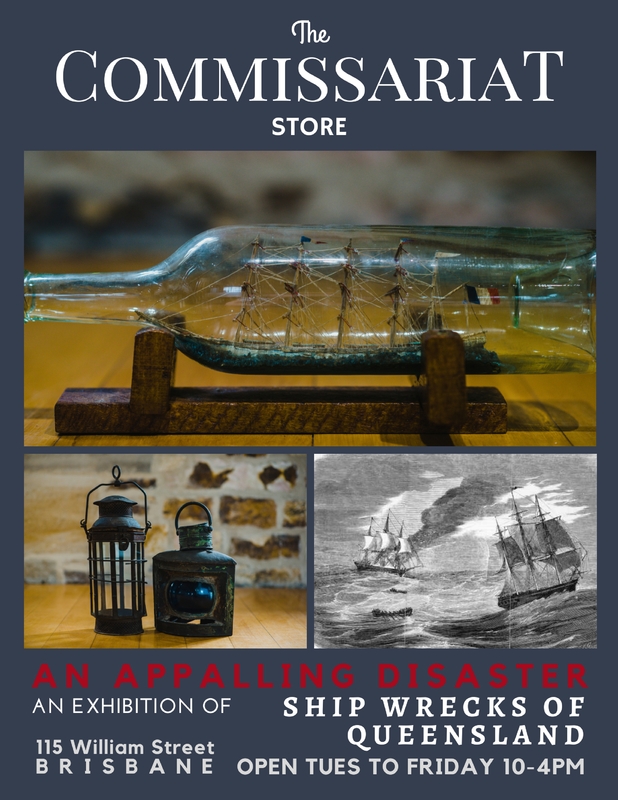 Our latest exhibition , An Appalling Disaster: Shipwrecks in Queensland is ready for inspection. 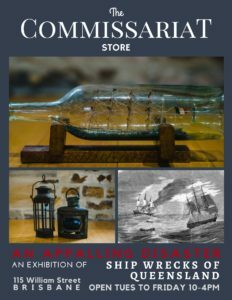 Official launch on 20 February 2018, exhibition opening by John Pearn. 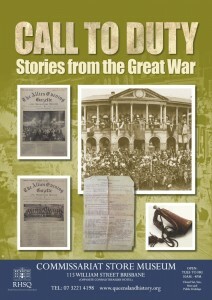 Our latest exhibition, Call to Duty: Stories from the Great War is now on display at the Commissariat Store Museum. 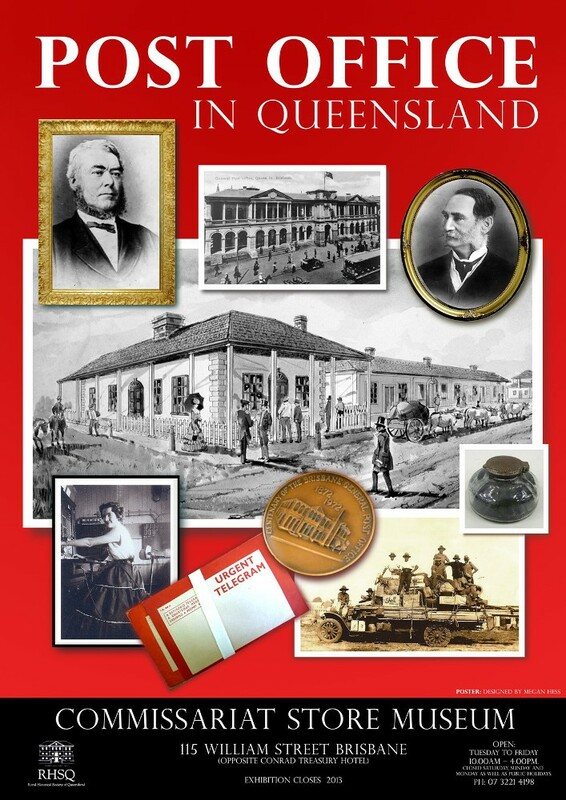 The postal system has always played an important part in everyone’s life and this exhibition covers many areas that relate to the post office in Queensland. 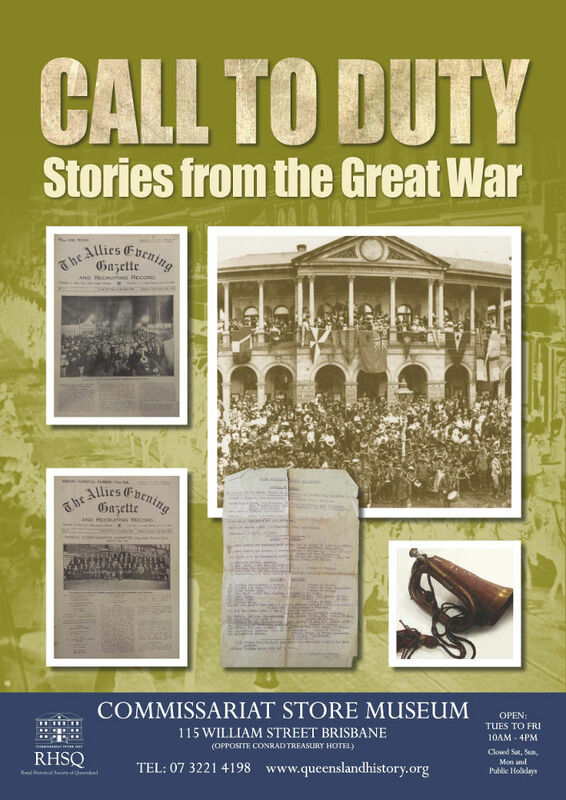 It includes the following areas: History of the General Post Office in Queensland with Timeline, Trans-Atlantic Cable, The Electric Telegraph, Cobb and Co, The Telephone, Post Office in WWII and Decimal Currency. The exhibition comes to life through beautiful black and white photographs of past and present Post Offices, objects such as scales, medals, stamps, stationery, weights, coins, text, and every interesting posters from the past. The exhibition has been researched and curated by Janice Hess, Hon. Museum Curator and Robyn Stephensen, Assistant Exhibitions Curator. The poster was designed by Megan Hess, Illustrator, Melbourne. 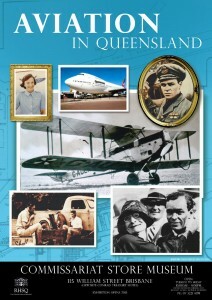 Queensland has a proud aviation history. 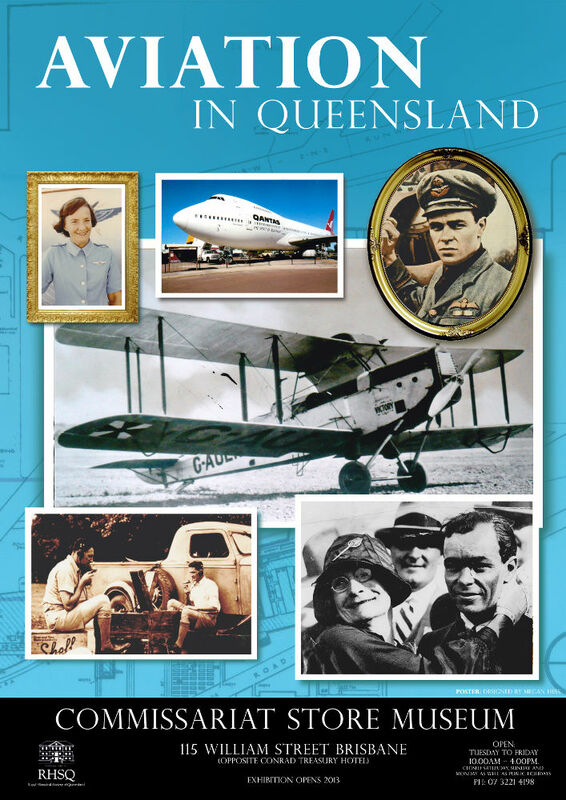 This exhibition brings this history to life with artifacts and stories from our aviation history, including a ticket from the first Qantas flight and the birth certificates of Bert Hinkler and Charles Kingsford Smith. Launched on Saturday the 23rd of November at an RHSQ at Home with a talk by Award Winning Journalist Grantlee Kiez, author of nine books, including the recent HarperCollins best-seller ‘ Bert Hinkler: The Most Daring Man in the World’. Grantlee has held senior editorial positions at The Daily Telegraph and Sunday Telegraph in Sydney and at The Courier Mail in Brisbane. Address: 115 William Street, Brisbane, 4000. 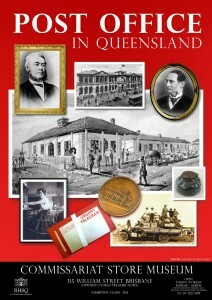 Mail: PO BOX 12057, Brisbane, 4003.